At H T Howard we offer the same engine machining services to the same high standards for your motorcycle engine as we do for our car based customers. Whether a later type Japanese “multi” or original British single the H T Howard team can re-bore and hone your cylinder barrel and restore it to original tolerances and specifications. We have a wealth of experience on all engine configurations from singles to V4 and from separate blocks to those with integral crankcases. 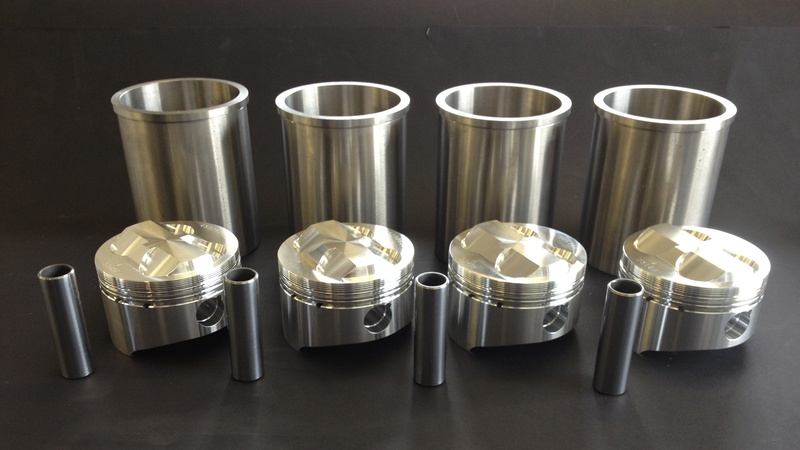 Each bore is machined to the exact clearance specified by the piston manufacturer and individually matched where required to ensure minimum noise and maximum power. H T Howard are not able to service cylinder barrels with special coatings on the cylinder walls. 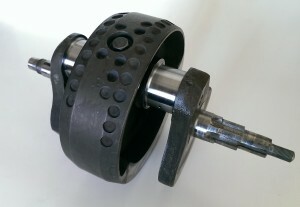 If a motorcycle cylinder liner or cylinder barrel has been previously re-bored to its maximum oversize or is damaged beyond recovery by boring alone then an effective repair can be achieved by re-sleeving In the case of cast iron cylinder barrels this will involve machining out the original material before a replacement liner can be pressed into place. 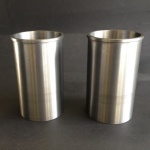 Barrels made of aluminium alloys will usually have cylinder liners fitted which can be easily replaced. In both instances, final finishing by re-boring and honing after the new liners are fitted will be required. 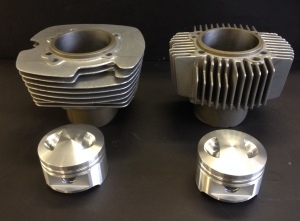 We are also able to fit the oversize liners required for some big bore conversions. At H T Howard we have carried out many big bore machining operations for race and custom applications including the fitting of oversize cylinder liners and crank case machining sometimes required to accommodate these. 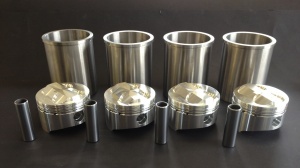 Many suppliers of performance and custom pistons supply kits containing piston rings that require “gapping” in order to meet the specific requirements of the application in question. H T Howard & Co offer a service for this specialist work. 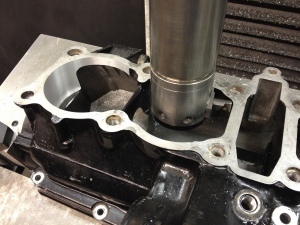 Following the fitting of oversize liners required to accommodate some larger big bore conversions, it may be necessary to enlarge the mouth of the crankcase in order to accept these. H T Howard offer full machining services to ensure that all the components fit together correctly. We apply the same exacting standards of quality to our motorcycle cylinder head work as we do to all our other machining operations. We have full experience of unleaded conversions on older British and European motorbike engines including humble singles through to four and six cylinder exotica. As well as valve seat inserts we offer our bronze guide lining system to restore worn valve guides to better than original specifications. 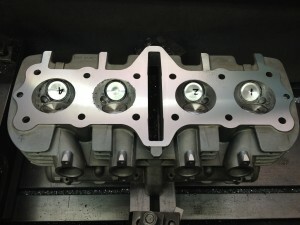 Along with our high standard multi-angle valve seat machining you can be assured that your older cylinder head will probably run smoother and give better performance than when new. For owners of more modern classics such as the Japanese type “multi” we also offer full cylinder head machining services. 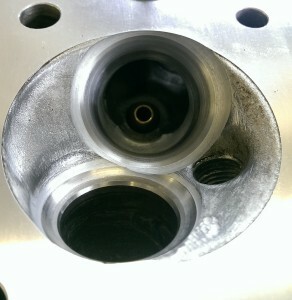 Once again this can include valve guide replacement (or bronze sleeving) and multi-angle valve seat machining. 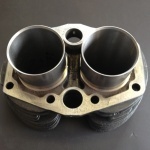 Along with cylinder head resurfacing and valve shim clearance setting where required we can offer the complete re-manufacturing service for you motorcycle cylinder head. For race and increased performance applications we are also able to carry out big valve conversions. Where undersize bearings are available, motorcycle crankshafts can be re-reground in the same way as for their car based equivalents. Our dedicated Scledum TF10 Special brake drum lathe has the capacity to machine motorcycle brake drums without the need to dis-assemble them from the wheel. This can be particularly useful in cases where the drums have become distorted through wheel damage or rebuilding or when corrosion has deformed the brake drum lining.